Who doesn't love the big Christmas guy in uniform??? 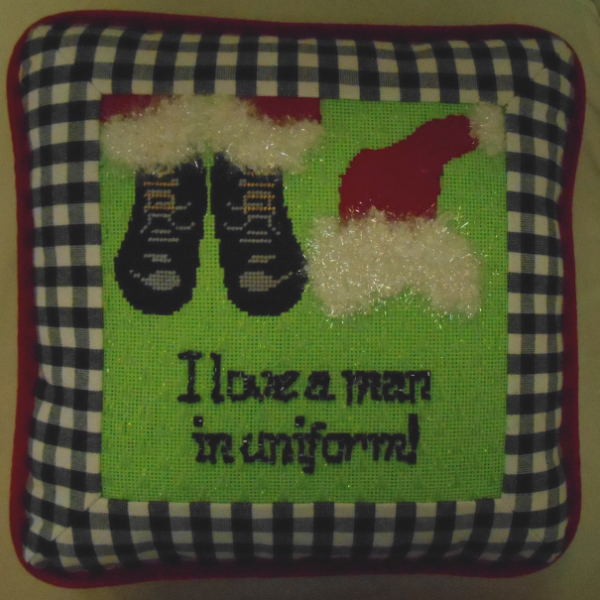 Celebrate Santa or your favorite military man with this fun canvas from Point of It All, includes a stitch guide. Punch needle "turkey work" makes the fuzzy sections whiz by.